The Book of Malachi released last March should have been just the beginning for Malachi Siltzer, the son of News 13 Morning anchor Jay Siltzer. At WLOS, and across the mountains, we mourn the life cut tragically short. Dressed Up.jpgJay and Malachi had a special chemistry that was captured in The Book Of Malachi released back in March. The Book of Malachi released last March should have been just the beginning for Malachi Siltzer, the son of News 13 Morning anchor Jay Siltzer. At WLOS, and across the mountains, we mourn the life cut tragically short. The 8-year-old passed away Wednesday after complications related to brain cancer. A memorial mass will be held at 2 p.m. Tuesday, September 6, at Immaculate Conception Church with Fr. Martin Schratz officiating. A reception will follow in the school gymnasium. In lieu of flowers, memorials should be made to Immaculata Catholic School, 208 7th Ave, W. Hendersonville , NC 28791. Their book provides smiles at a somber time. The collection of stories documenting a beautiful father-son bond has raised thousands for patient-assistance charities. 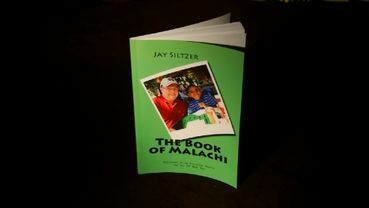 Those 88 pages leave us longing for so much more because Malachi was a shining light through Jay Siltzer's darkest days. "Why did we write the book?" Jay asked his co-writer months ago. "Because I wanted to help people," Malachi answered. There is a video about Malachi and his bond with his dad, Jay Siltzer. Scroll down to watch.